While our world class Houston Symphony Orchestra's traditional opening night and concert season had to be delayed because of Hurricane Harvey and the flooding that followed, the fetching Mrs. B and I are looking forward to going to our first classical concert this Saturday, Sept. 23, in the beginning of HSO's 2017-2018 season, being led by Maestro Andres Orozco-Estrada. Also, because of the storm, the program has changed and the concert has had to be moved to Rice University Shepherd School of Music's "Stude Concert Hall". I think it won't be long before our Houston Symphony Orchestra can move back to its downtown home, Jones Hall, as repairs are being made now. While the original program has been changed, that does not mean it is not a good one. In fact, this is a program to look forward to as our dynamic young Maestro Estrada leads the orchestra in Rimsky-Korsakov's, exciting "Capriccio Espagnol", Piazzolla's "The Four Seasons of Buenos Aires", and Beethoven's grand "Symphony #7". 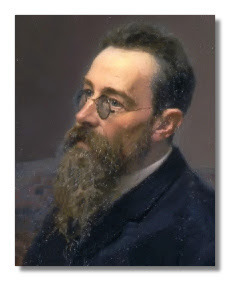 The Russian Nikolai Rimsky-Korsakov's energetic "Capriccio Espagnol" has 5 short movements that plays more like a one movement concert overture that starts and ends in a rousing fashion. Beethoven's wonderful Symphony #7 is scored in A-Major with the usual four movements: 1. Poco Sostenuto - Vivace; 2. Allegretto; 3. Presto; and 4. Allegro con brio. The mesmerizing Allegretto movement is one of my favorites. So, please turn up the volume and enjoy two of the pieces we will hear on Saturday night in Rice University's Stude Concert Hall. Oh, by the way, today [Saturday Sept. 23] is my wife's birthday. Happy Birthday Sheralyn!